A couple of weeks ago I was in Winnipeg on business. My luck it was pouring rain the 3 days that I was there but on the last evening the weather had cleared slightly and I was able to get out with my camera. 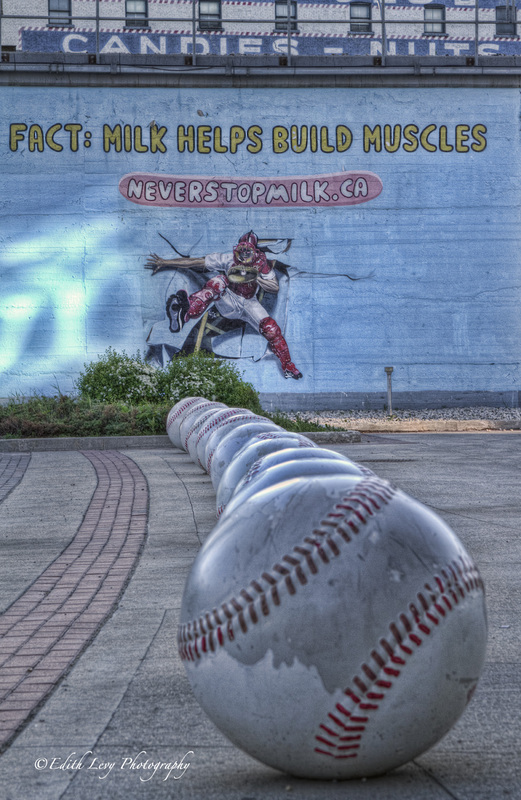 These images were taken right outside Shaw Park, home of the Winnipeg Goldeyes. The image below was tone mapped in Photomatix then a magenta filter was applied in Perfect Effects. 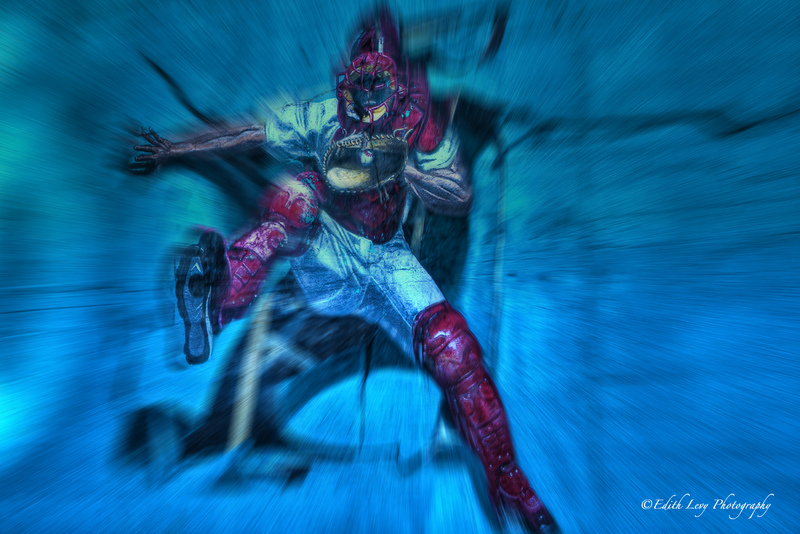 I then brought the file into Photoshop and used Topaz Lens Effects to create a zoom effect and then used a layer mask to reveal the player.